Newly admitted students to UMBC are first advised and registered at a specified Orientation Session. 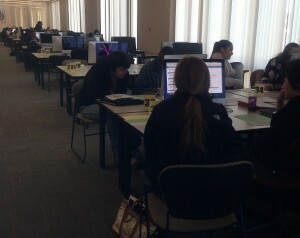 At that time, professional staff advisors work one-on-one with students to select courses for their first semester at UMBC. The process is very similar for first-year and transfer students, however, the transfer process can be more complex. For more information, visit the Transfer Information page. You may look at the UMBC Undergraduate Catalog for information about specific programs and classes. You can go to the UMBC Orientation page for more information about orientation.